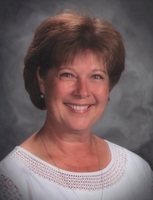 Provide comfort for the family of Debra Heidenreich with a meaningful gesture of sympathy. Debra JoAnn Heidenreich passed away at home in Colorado Springs, Colorado on March 30, 2019. To send flowers in memory of Debra JoAnn Heidenreich, please visit our Heartfelt Sympathies Store. We encourage you to share your most beloved memories of Debra here, so that the family and other loved ones can always see it. You can upload cherished photographs, or share your favorite stories, and can even comment on those shared by others. Dad and Peggy sent flowers to the family of Debra JoAnn Heidenreich. I am so sorry for your loss. May the words of our loving heavenly Father bring your family comfort and strength during this most difficult time as He promises to bring our loved ones back to life to a perfect earth, where there will be no more suffering or death (John 5:28-29 & Revelation 21:4). Love you forever my precious beautiful daughter! Dad and Peggy purchased flowers for the family of Debra Heidenreich.